Any coding or configuration examples provided in this document are only examples and are NOT intended for use in a productive system. The example is only done to better explain and visualize the topic. 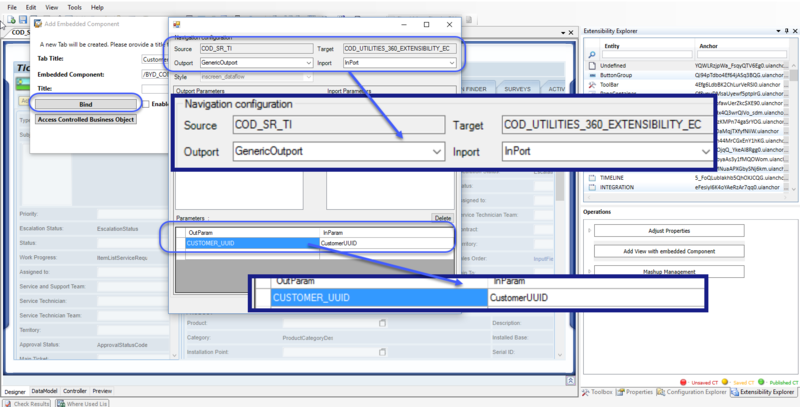 The objective of this blog to reuse the Utilities 360 facet available in Customer Thing Inspector (TI) also in Ticket Thing Inspector (TI), by reusing the Utilities 360 Embedded Component (EC) provided by standard. By end of this blog you will be adding a new facet in Service Ticket Thing Inspector (TI) which will give 360 view of a Utilities customer. Provide required information for the creation of Solution. 2.1 Open the UI Designer from PDI. 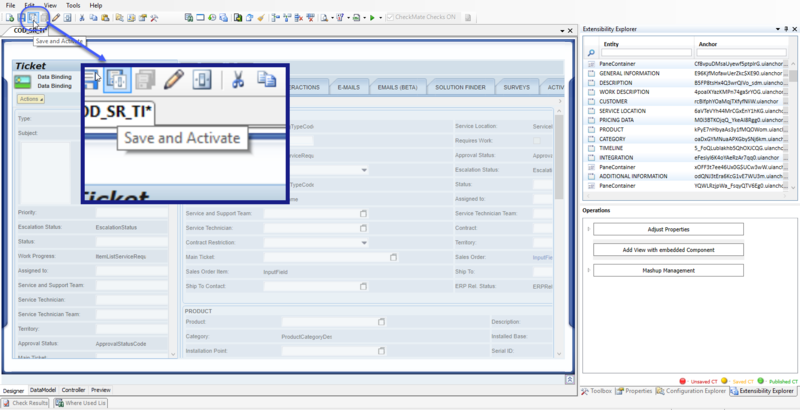 2.2 Navigate to Configuration Explorer. Service Ticket have dedicated views for HTML Client & RUI Client(Responsive UI), below is the details of each of the UI floor plans. For this particular blog you will be enhancing the RUI(Responsive UI). 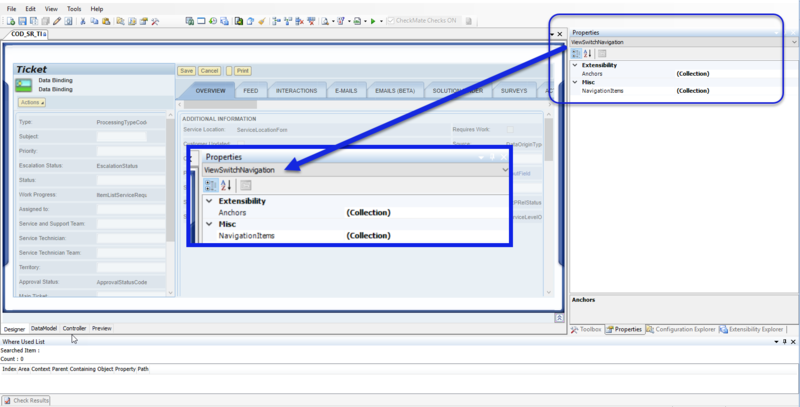 Open the respective TI and select the “ViewSwitchNavigation” from Properties view. From “Extensibility Explorer” select the option “Add View with embedded Component”, provide the Tab Title and choose the reusable Utilities 360 embedded component. Select the “Bind” and configure the navigation. Once done press on “OK”. 2.6 “Save & Activate” the Service ticket TI. With above changes you should be able to find a new facet in Service Ticket TI. Now if you navigate to Service Ticket Thing Inspector (TI) – (where there is a Customer assigned to the Ticket), You can view 360 overview of the respective customer.